Our daughter Nancy has been very unwell and in chronic pain for many years now and as parents, my husband and I both struggle with this on a daily basis. This is something I find difficult to admit but it is the truth. When the children were young it was a natural instinct to cuddle them and nurse them when they were poorly and to reassure them when they were upset. As a parent I now feel quite helpless. I remember the heartache and frustration we all felt during the 7 years we went from doctor to doctor, hospital to hospital before we finally got a diagnosis. By that point Nancy was so unwell, she had lost so much weight and more importantly had lost faith in the hospital consultants. In January 2010 we had the fortune of seeing a fantastic paediatric gastroenterologist in London who studied Nancy's file and listened carefully to all her symptoms which at the time seemed crazy. As well as having lots of pain with her stomach Nancy also had widespread joint pain and was barely able to get out of bed. The consultant pieced the jigsaw puzzle together and after a number of tests as an in patient Nancy was diagnosed with EDS III. We were told that Nancy would need to be under the care of a number of consultants to try to manage the effect that EDS would have on her. Looking back, we were not prepared for the devastating effect that EDS would have on Nancy. We have watched our beautiful daughter struggle daily to cope with pain and as parents feel so helpless. I use to try to hide my tears from Nancy as I felt I had to be strong and in control and make everything better. The reality is that I can't make everything better so there are times when we cry together and then talk through how Nancy is feeling. Nancy is often frustrated and angry at her illnesses and has occasions where she allows herself to vent her feelings out to me, but I am pleased that she feels able to do this and can be completely open and honest with me. Having a teenage daughter who is chronically ill changes the dynamics of the family. We can't plan in advance to do anything as we never know how Nancy will be on a daily basis. When we do manage to go out, we have to pace the day for Nancy. Our extended family understand our situation as there have been occasions when we have been unable to attend family gatherings. As parents, we feel frustrated about the lack of understanding in the medical profession regarding EDS. It always remains a challenge to seek out doctors and therapists with a true understanding of EDS. It seems that patients with EDS have far more knowledge than some medical professionals. When we mention EDS we often get looked at in a confused way and asked "what's EDS?" This makes me so angry. Sufferers of EDS need expertise help and it never seems to be available. As a parent I feel it is my duty to try to find out as much about EDS as possible in order to help Nancy. Now that Nancy is 19 we are encouraging her to be assertive at medical appointments and to stress to the Consultant exactly how she feels. We have also encouraged Nancy to be open and honest with her friends and family. Nancy has always been a people pleaser and would put on a huge front when family or friends visit but as soon as they leave, she would crumble and cry with the pain. This was exhausting for Nancy and frustrating for me to watch. I think it is important to be honest to her friends for them to understand Nancy's ability. I know Nancy struggles with this - she doesn't want to burden people with her illness. It is upsetting for us to see that Nancy hasn't had a chance to experience her teenage years in the same way as her friends. She will never get those years back and that makes me really sad. As a parent I feel extremely frustrated that I don't have the answers to Nancy's questions, fears and worries about the future. I wish I knew the answers but sadly, I don't. I refuse however to give up hope and try to instal this into Nancy everyday. Hope is what keeps me strong and I hope that one day, she can real see the benefit of holding onto hope and strength. I pray daily that there will be medical progress with Ehlers Danlos and the overlapping conditions Nancy has been diagnosed with and that one day, our beautiful daughter and all those suffering with EDS and chronic illness, will live a life where their symptoms and pain are controlled and understood globally. Nancy feels she has lost her identity and has become her diagnosis. We don't see that - we see a beautiful young lady who is loving and compassionate and we are continuously amazed at the strength and courage she shows to cope with her daily struggles. We might be biased, but I am sure many parents feel adoration in how their child copes with adversity. Nancy has lots of hopes and dreams. My dream is that one day she will fulfil them. 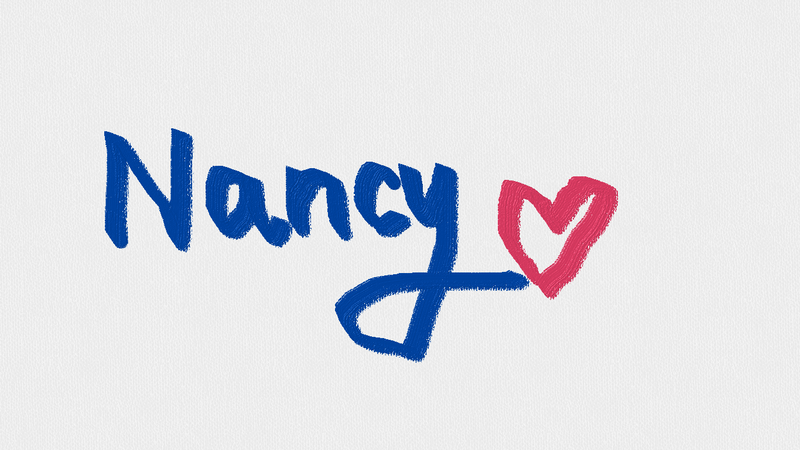 In the meantime as a family, we will do all that we can to support Nancy through her daily struggles. Just an end note to say thank you to my lovely Mum (I know you read over my posts religiously). I know everyone says it but my Mum is truly the most amazing mother I could've ever asked for. She is so caring and will always put others before herself. Mum will always listen to me moan, cry, be angry and upset, never judges me and is always there to help. There is so much more I could say and I will never be able to repay Mum for how amazing she continues to be through this difficult chapter of life. I will be forever grateful with how both of my parents have coped with their lives being flipped upside down since I have been extremely poorly.